In spite of the recent declaration that “Corporate Innovation does not work” by Accenture’s Narry Singh at the WIRED2016 conference in London, Corporate Incubation is a growing hot topic right now. Often fuelled by COAL (Catching On At Last) or driven by FOMO (Fear Of Missing Out), many large corporates are setting up their own incubation initiatives with some perhaps surprising recent entrants into the UK market in the form of John Lewis, Topshop, ASOS (all in fashion / retail), William Hill (betting) and Belron – the parent company of Autoglass (windscreen repair) being among these. In fact a recent survey of European acceleration activities by OpenAxel states that 27% of accelerator funding now comes from corporates vs 32% from VC’s. If your organisation is considering establishing your own initiative, you would benefit from pausing for thought to consider the impact that “location, location, location” will have on your desired outcomes. is best for you to establish your Corporate Incubation initiative? It may at first seem logical for a Corporate Incubator to be an extension of your existing NPD (New Product Development) department if your intention is innovate around new product offerings and business models. Corporate Incubation requires a high degree of collaboration. 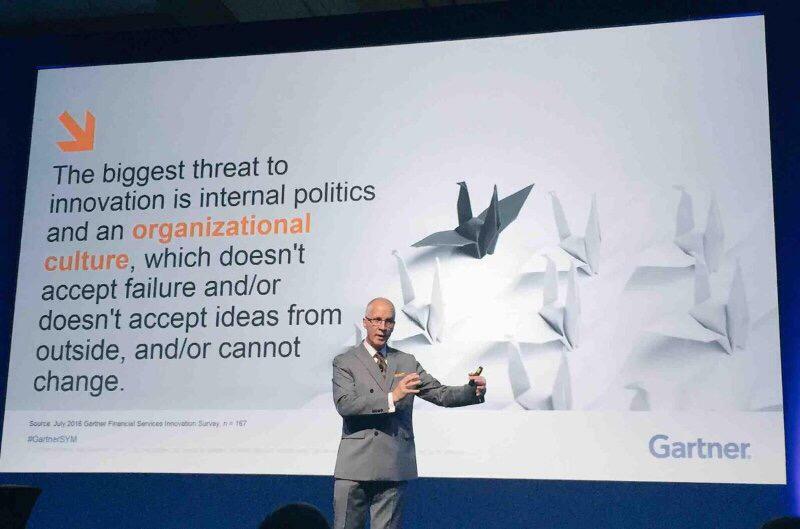 Gartner cite the biggest threat to innovation as “internal politics and an organisational culture which doesn’t accept failure and/or doesn’t accept ideas from the outside”. Bearing this in mind, establishing a Corporate Incubator is an opportunity to set up an entirely new, cross functional initiative, drawing in participants from across the entire business and even infusing it with new skills and mind-sets from outside your existing organisation. Einstein is frequently attributed with saying “we cannot solve problems with the same thinking that created them” (or something along those lines) – so I would urge you to think very carefully about where in your organisation your new initiative is located and the impact it would have on cultivating collaboration and innovation. For your own Corporate Incubator, I would add to the above list your own assessment criteria including for example access to supplier, startup and partner eco-systems; public attitude towards change (if you are going to use the local environment as a test bed); access to raw materials (if relevant to your line of work) and any other unique criteria that may have an impact on your initiatives. Don’t just automatically think that the best place to establish your Corporate Incubator is where you already have a presence – it might not be, but then again – it might be, please take the time to validate your initial thinking. By this I mean “in the same physical office space or building”. You might have to take a reality check here – is your current physical environment really conducive to innovative and creative thinking? Is it set up for collaboration and experimentation? Has the physical environment contributed to a mind-set and culture that has constrained innovation? Many companies opt to set up their Corporate Incubator in a totally new environment in the latest trendy, hip part of town in the hope that this will “make them more innovative”. But spending a fortune on the way the place looks and unnecessarily placing a huge burden on the return on investment before the first idea is even incubated is folly. While physical separation from the “mother ship” is very often desirable, particularly if the existing culture and environment is less conducive to innovation and transformation, you should not lose sight of the fact that some of the biggest companies in the world started life from a garage or a couch and some of the most innovative companies in the world today successfully stimulate innovation under their own roof. Perhaps cultivating an innovation culture across your entire organisation would reap more rewards and a higher payback than that great new downtown office with the unlimited artisan coffee and craft beer on tap? Wherever you choose, make sure you do so for the right reasons. This is by no means an exhaustive discussion of the topic and I go into far more detail on each aspect of the above in the book I’m currently writing – but I hope you at least found it useful food for thought and will remember to consider “location, location, location” as a key decision of your Corporate Incubation strategy, regardless of whether you’re fuelled by COAL or driven by FOMO.